If Microsoft and Nintendo do team up, what games could they partner on? As reports suggest that Xbox services and games could soon be making their way to Switch, what exciting projects could take advantage of this deal? Rumors of a great partnership between Microsoft’s Xbox brand and Nintendo are seemingly becoming stronger by the day. Over the course of a few days we’ve had talk of Nintendo reviving cancelled Xbox project Scalebound and now the suggestion that Xbox Game Pass and Microsoft’s previously-announced XCloud game streaming service will come to the Nintendo Switch. This latter rumor is particularly exciting – the combination of Game Pass and an Xbox Streaming app on Switch could allow pretty much every major Xbox exclusive and a range of exciting third party games to be played on Switch. All of this is a surprise, but not that much of a surprise. Late last year Xbox boss Phil Spencer said he wanted to bring Xbox Game Pass to “every device”, while we’ve seen the XCloud streaming technology demoed with Forza Horizon shown running on phones. The Switch does seem like a natural next step as part of the future of Xbox: it’ll be more of a service platform than a hardware brand, but will still release dedicated hardware for those who want the best version of that ecosystem’s games. It seems like the future. But what would some of the most exciting things that could quickly come out of a Microsoft and Nintendo partnership be? We’ve listed a few off below – and, predictably, there’s of course a whole lot of Rare. We’d love to hear your thoughts on what else would be good in the comments, too. Ori and the Blind Forest is an excellent game with a solid critic average score of 89/100, and that’s helped it to find a wide audience on Xbox. Ori feels like the sort of game that would’ve been a Summer of Arcade smash hit back on the 360 – and so it’s always had a decent home on Xbox. As Switch continues to become an insane indie powerhouse, however, it’s difficult to deny that Ori would also be a perfect fit over there – and so it perhaps isn’t a great surprise that part of the recent rumors indicate that Ori might be one of a handful of Xbox titles receiving an actual direct, native port to Switch. 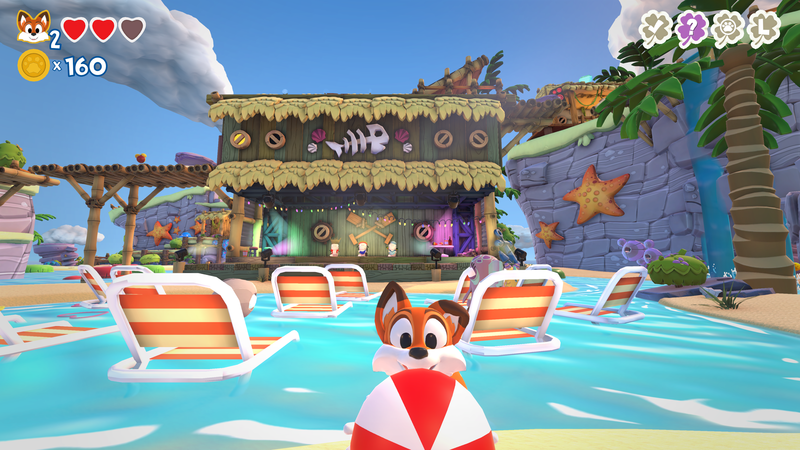 Super Lucky’s Tale is another game rumored to be getting that treatment, with word of a Switch report first getting out via LinkedIn resumes back in January, and it has been indicated to VG247 that these resumes are correct. That game has even more to gain. Without the striking art style and adult sensibilities of Ori, this simple, cute 3D platformer that hearkens back to the genre’s heyday on N64 and PS1 has really struggled to find an audience on Xbox One. It’d be no surprise if Microsoft made the decision to give it a native Switch port: even the more successful 3D platformer revivals like Yooka-Laylee perform better on Switch than on Xbox. It’s in cases like Ori where this rumor of a deal makes the most sense. For Microsoft, it manages to ensure its in-house games are published to as wide an audience as possible, which in turn helps to ensure sales can justify a diverse range of games that can help make the Xbox brand a half-decent destination for everybody. Xbox has always been a great place to blow people’s heads off or burn rubber on the race track. But allowing its games to be played anywhere justifies a more diverse line-up without sinking resources into games that don’t currently have a larger audience on Xbox. Essentially, it’s a win-win situation. One major disappointment in the last console generation was a game that was built and almost completed but never released: a full HD remaster of GoldenEye, Rare and Nintendo’s classic shooter from the N64 era. The remaster was very similar to the Xbox 360 version of GoldenEye spiritual successor Perfect Dark that did release, featuring a rock solid frame rate, a widescreen presentation and even a one-press switch between the old and new visual styles. You can see a bunch of leaked footage in the video above. Reports at the time indicated that this was in the works as something of a passion project at Rare, but ultimately couldn’t be released because the rights were split all over the place. Nintendo published the game, for a start, while Microsoft owns Rare. Then the Bond license was passed between EA and Activision – and any release would’ve presumably required all three to play ball, plus EON, the movie production company that owns Bond in general. It surely didn’t help that at around this time Activision had its own (fairly decent) GoldenEye re-imagining starring Daniel Craig’s Bond to sell, too. These days things might be simpler, especially if Microsoft and Nintendo are partnering closely on multiple projects. In the world of video games there hasn’t been a Bond game for years, either – and it does appear Activision may have let its license for the franchise lapse. This almost-finished release could ideally be polished up for both platforms, and the original game could take its rightful place on a future N64 Classic. As with Super Lucky’s Tale, Banjo-Kazooie is a series that has struggled to find as much of a home on Xbox as Microsoft might have liked. The original platformers are great, of course, but there’s also the third in the series, Nuts & Bolts, which is secretly one of the best games of the last console generation. Regardless of what happens here it is my sincere wish to see the bird and bear continue their adventures on Xbox platforms. This rumor gives hope that the titles could gain an increased audience on the Switch via Xbox streaming or even direct ports and re-releases. The Xbox 360 versions of Banjo-Kazooie & Tooie, plus Nuts & Bolts, are all available on backwards compatibility on the Xbox One. As last-generation 360 games, it’s easy to imagine all three would be perfectly viable candidates for direct ports if Microsoft saw fit. The point is, hopefully Rare’s platforming heroes can find a larger audience back on a Nintendo platform. 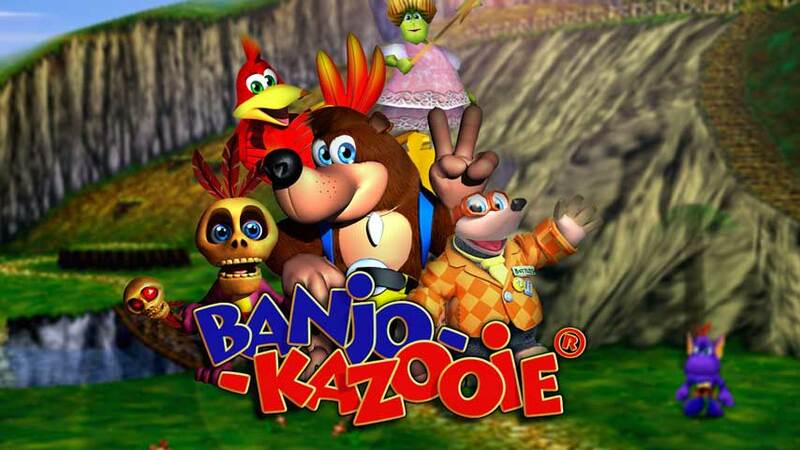 In mentioning Banjo-Kazooie Nuts & Bolts we evoked one of the most underrated games of the last console generation – and now it’s time for another. 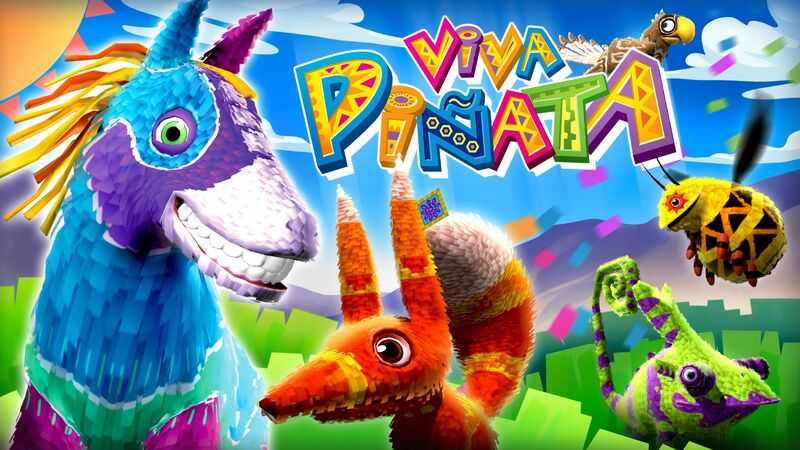 I don’t care how it works – gamepass streaming of the current backwards compatible version, direct port, whatever – can you imagine a better candidate for Nintendo Switch handheld play on a flight than Viva Pinata? Viva Pinata has of course appeared on Nintendo hardware before. The DS version suffered from that console never quite having the power to make it work, but even that was brilliant. Make it bloody happen – and release the old PC version on modern store fronts, too.